COOPERSTOWN - Dorothy A. Bly, a resident of the Clara Welch Thanksgiving Home in Cooperstown, passed away Saturday afternoon, May 28, 2016, at Valley Health Services in Herkimer. She was 98. Born October 7, 1917, in Rochester, she was a daughter of Dea W. and Hazel (Roberts) Hess. The first born of three children, Dorothy's mother instilled in her a love of music, and at the age of eight she began taking piano lessons. After graduating from high school, she attended West Chester State Teachers College in West Chester, Pennsylvania, where she majored in vocal and instrumental music and English. 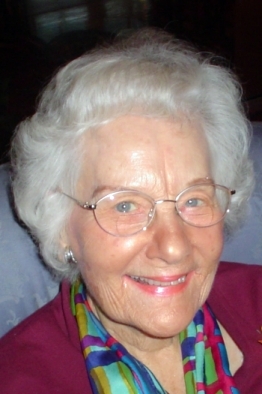 After earning her bachelor's degree in teaching, she remained in Pennsylvania and taught at public schools in Beaver Town and Beaver Springs and then in the Shillington public school system. In 1945, Dorothy married James Nicely Bly in a ceremony at the First Methodist Church in Berwick, Pennsylvania. The couple moved to College Point on Long Island, where Mr. Bly served as a licensed funeral director. In 1954 the Blys purchased a funeral home in Little Falls located at the corner of Ann and Monroe Streets. They owned and operated the Newitt & Bly Funeral Home for the next 26 years, with Dorothy serving in many capacities including answering the phone and playing the funeral home's Hammond electric organ for services. Following their retirement from the funeral profession, the Blys moved to Cooperstown and settled into their home on Lake Street. She became active in the Cooperstown Women's Club and was very active in the formation of the Bridge Club that now meets at Clark Sports Center. After Mr. Bly died February 24, 2006, Dorothy came to reside at the Clara Welch Thanksgiving Home, where she enjoyed playing the piano. Dorothy often said she had four passions throughout her life: the culinary arts, horticulture, interior decorating, and music. Above all, her main goal in life -- which she achieved -- was to be a loving wife and mother. Dorothy is survived by three children, Gwendolyn Boggs of Vancouver, Washington, David Wilson Bly and his wife, Valerie, of Ormond Beach, Florida, and James T.H. Bly of South Daytona, Florida; two granddaughters, Jennifer Beck and Erika Boggs-Halperin; a great granddaughter, Norah Beck; a niece, Ellen Dunn; and a nephew, Theron Royer. She also leaves a very special and loyal friend, Ellen Brown of Springfield Center. In addition to her husband, she was predeceased by her sister, Evelyn J. Randall, and a brother, Dea Wilson Hess, Ph.D, of Rochester. Dorothy will be laid to rest with her husband and parents in Roselawn Cemetery-Walnut Street Annex in Berwick, Pennsylvania.